The unique Ascolite® button shank wrapping system is based on the combination of a button shank wrapping machine and the elastomeric heat sealable Ascolite® elastic Thread. The button attachment is secured by wrapping the filament under tension around the shank of the button. The result is a soft, durably secured, easy to fasten and perfectly finished button shank! Acolyte® stands for the finest quality in button shank wrapping for better button attaching. 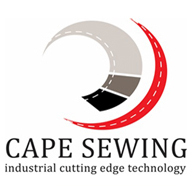 Most methods for shanking the buttons with normal sewing thread become loose after a short time. A shank wrapped with Ascolite® TF-Yarn instead remains tight even after years of wearing and washing. Acolyte® TF-Yarn is guaranteeing the best button attaching for maximum possible button security. The highly elastic filament is wrapped around the button shank under tension. The button attaching thread is constrained and prevented from becoming loose by the constant force of the elastic filament. Sealed by thermo-fusion. To increase the security of the button many technicians adjust the tension on the button-attaching machine to the maximum. This way there is no space between the button and the garment. The fastening with such a button is very tricky. The benefit of a shanked button is that they just glide easily through the buttonhole. The flexible and slim Ascolite® button shank even makes buttoning the cuffs and collar a simple job. Acolyte ® wrapped button shanks look neat and elegant, without any knots or loose thread ends. The slim shank lets the button hole close without bulging the fabric. With Ascolite ® you get an obvious quality sign even for non-professional customers and an extra sales argument for your garment. the attaching sewing thread tightly. Thermofusable layer: The thermofusable layer bonds the elastic thread together and eliminates loose ends and tails. Ascolite® TF-Yarn is proved to be resisting to light, ironing, rubbing, washing and dry cleaning until 60 °C, even endure a tunnel-finisher with 140 °C without damage. It is harmless and non-toxic. Thread and colours can stand wear and tear for the lifetime of every garment. BSS-Mk 8 the practical semi-automatic button shank wrapping machine for small to middle production size. Our world-wide best-seller and standard factory model for small to medium size production capacities. Wraps the button shank of all kinds of garments such as men’s-, ladies-, outerwear and uniforms. A must for every sampling department! The BSS-Mk8 is a sturdy and very reliable button shank wrapping machine. It has a new convenient LCD control display and a built in seal control system. The inbuilt seal control system ensures that every button is securely sealed by the operator.The heating fork is positioned with tips upwards which makes heat-sealing much easier. Optical and sonic indicators signal the optimal seal time. BSS-Mk13, the high-speed fully automatic button shank wrapping machine with maximum efficiency, for middle and large-scale production size. This fully automatic fast and thread-saving button shank wrapping and bonding machine is highly suitable for bigger productions. The BSS-Mk13 wraps and secures any type of sewn button at high speed and with constant precision. The 360° bonding from all sides guarantees highest possible button security. The economical consumption of TF-Yarn and the electronic controlled process make BSS-Mk13 ideally suited for all large volume producers. BSS-MK13 has 3 presetable programs which allow fast switching between different button shank types, including special settings for very long shanks and blazer type shank buttons. With its new integrated thread tensioner you always get tight and slim shanks.